Before you were born, his name had to be attached to the project. Every so often someone emerges in a field and manages to not only revolutionize it, but do so several times. Steven Spielberg is one of those people, with a career that has gone uninterrupted since the mid-70's and is one of the most influential powers in Hollywood. Playing with his video camera as a kid, he enrolled in a community college with a small film program and used those connections to get work until he got his big break, a low-budget, cult hit TV film Duel. Duel was an expertly made action thriller that got him a lot of attention, enough to be brought on as the director for the film that would launch him into the stratosphere, Jaws, the first summer blockbuster (Not so big as Star Wars, but big enough and one of the most critically acclaimed films of all time to this day). With basically a blank check, he followed this with benign Alien Invasion Close Encounters of the Third Kind, the 30's serial throwback Raiders of the Lost Ark (the first of the Indiana Jones films; he directed all the sequels as well) and the family favourite ET the Extraterrestrial, which became the highest grossing film of all time in its day. In 1985, he branched into directing The Color Purple, which was nominated for several Oscars and his first ultra-serious drama; it would not be his last. He is also known for being a collaborator with other very popular films including |Poltergeist and The Goonies (a team effort with Richard Donner and Chris Columbus). Even today he is found working in a lot of the megablockbusters like Transformers. Steven is a long time friend of George Lucas, ever since they met at a film festival when both were in college (Spielberg said he was insanely jealous of Lucas' student film that eventually became THX 1138). While their only official collaborations are Indiana Jones, they frequently spend time together and discuss each others projects. Spielberg is also a frequent collaborator with Stan Winston, the puppeteer and makeup virtuoso who brought the dinosaurs of Jurassic Park and the robots of A.I. : Artificial Intelligence marvelously to life. In 1994, he was a co-founder of the studio DreamWorks SKG. He still runs Amblin Productions. Now works on a live-action Ghost in the Shell adaption, a work he has said he is fond of. 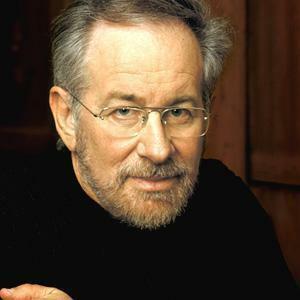 Spielberg went on to make Hook in 1991, and Jurassic Park in 1993 became another one of the most popular films in history, revolutionizing the use of CG animation in film. Schindler's List in the same year won the Best Picture Oscar and is treasured all over the world to this day, Saving Private Ryan won a handful more and the controversial A.I. : Artificial Intelligence saw him taking over the directoral reins from Stanley Kubrick, who died in mid-production. Catch Me If You Can saw him reteaming with Tom Hanks from Saving Private Ryan, and became another acclaimed hit. Spielberg has also done television work, as well. He directed an episode of Rod Serling's Night Gallery, and has produced television shows such as Amazing Stories, Sea Quest DSV, ER, and United States of Tara. He's also delved into animation as well. He collaborated with Don Bluth in the 1980's to produce box office successes like An American Tail and The Land Before Time, also starting his own animation studio, Amblimation, which would go on to produce the somewhat less successful We're Back! A Dinosaur's Story, An American Tail: Fievel Goes West, and Balto. He is also known as the executive producer for (and mistakenly believed to have created, thanks to In Case You Forgot Who Wrote It) Warner Bros Silver Age cartoons Tiny Toon Adventures, Animaniacs, Freakazoid!, Pinky and The Brain, and Pinky Elmyra and The Brain.